This is a Shabar Hanuman Megha Mantra, the meaning of Megha in Hindi means clouds and hence this is a Hanuman Mantra for controlling the clouds and rainfall. In the post, below, I have described the Siddhi Sadhana and method of performing this experiment to start and stop rainfall. However, as indicated several times in earlier posts success in such most powerful Hindu Mantra Experiments is achieved by only the most advanced of Mantra Yogis. 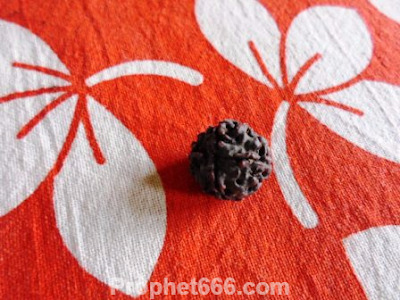 In this post, I have written about specific Mantras to purify and energize 15 Mukhi to 21 Mukhi Rudraksha or 15 Faced to 21 Faceted Rudraksha Beads before wearing them on the body or keeping them in the Puja Place. 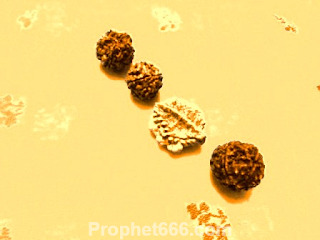 There numerous different Mantras and Hindu deities attributed to these Rudrakshas, however the Mantras and deities given by me in this post are in my opinion best suited for the Rudraksha beads mentioned above. This is a Hanuman Mantra Sadhana sent by Ashok Mehta who practises the Mantra Experiment, which he has described in this post as the Most Powerful Hanuman Mantra Sadhana in the World. I am regular reader of your website and love the work you are doing. I am giving the Most Powerful Hanuman Mantra Sadhana in the World for success in life, victory over enemies, getting rid of Tantra Badha and almost anything. Such is the power of this Hanuman Mantra that even the impossible will become possible after gaining Siddhi in this Mantra Sadhana. The Sulochana Yakshini, is one of the 36 Main Yakshinis mentioned in the Yakshini Tantra, she is said to be the one endowed with beautiful eyes. The Sulochana Yakshini is said to be the one who has the specific mystical powers to grant the one who manages to successfully invoke her with the superhuman paranormal and magical ability to magical powers to fly or travel through time and space, known in the Hindi language as Samay Aur Antriksha Me Safar Ki Jadui Shakti. 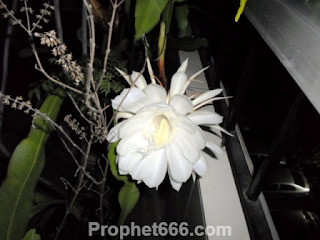 This special paranormal ability can also be taken to be the Power of Astral Travel or Projection at Will. In this post, I have explained a simple Bhagavad Gita Mantra Sloka Remedy to Exorcise and Purify a Shop, Office, Business Place or a House of negative and harmful energies, bad and dangerous vibrations and any other type of unseen malefic ghostly or paranormal energy. 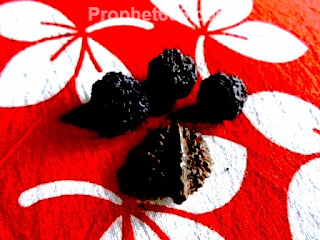 Shuddhikaran remedy can be easily performed by any person, including a layperson who believes that his premises have been invaded by the regressive energies and vibrations mentioned above. 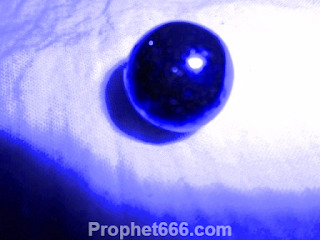 Some ancient Hindu religious scriptures describe a most powerful kind of Tantric Pearl, which is said to come from the Akash Loka [The Skies]. This Pearl is called in these ancient texts as the Mega Mukta or the Aakash Mukta. Mukta is the Sanskrit word for a Pearl. This Pearl is said to enter the Earth from the sky along with the rains, hence it has also been called as the Megha Mukta or Mani, Megha being the Sanskrit word for Rain. 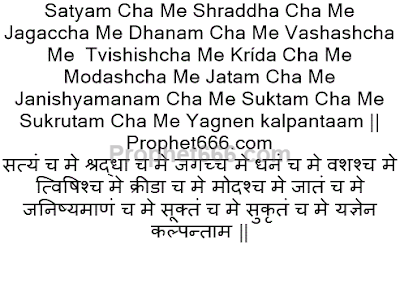 This is a very interesting Mantra Sadhana of the Bala Yakshini , which has be sent by Kapil Pramanick taken from the ancient Indian Magical Scripture, the Mahaindrajaal, which contains some of the most rare. Magical and powerful Tantric Mantra Experiments of all kinds. The Mantra Prayoga of the Bala Yakshini is said to enable the practitioner to live for a thousand years and enjoy all the pleasures and delights of Heaven on Earth. This is a reply to the letter published below, sent by a Reader giving some interesting information and significance about a very popular and famous Hanuman Mantra, which was published on this site a few years back. This Hanuman Mantra and the accompanying Tantra as mentioned in that particular post is a most powerful Hanuman Mantra Experiment to resolve any kind of problem, no matter how difficult, related to the job or employment and legal difficulties. That post can be seen here- Hanuman Workplace Problems Mantra. The Devi or Durga Shankha is a sacred conch shell, which has importance in Shakti Sadhana, especially in the worship of the Navadurga or the Nine Forms of the Divine Mother. The Devi Shankh is normally found in Kailash Mansarovar and the coastal areas of Sri Lanka. In this post, I have described a special Mantra Experiment to purify and install the Durga Shankh in the home for resolution of all kinds of problems, including money and health with the blessings of Durga Mata. The Manipushpak Shankh is yellowish in color, its mouth is fully opened and it has a fine or thin shell. The ancient Hindu religious scriptures, including the Mahabharata, say that this was the Shankh of Sahadeva, the youngest of the Five Pandavas. This conch shell is extremely rare to find and most of those conch shells sold in the market are either artificial copies or fakes of the Manipushpak Shankh. 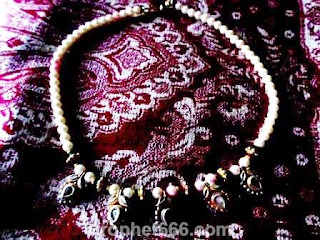 In this post, I have described a rare and unique Mantra Remedy to attract and increase money [Laxmi Vriddhi Aur Akarshan] using the magical paranormal properties of the Manipushpak Shankh. This is a guest post by Shri Rajendra Iyer on the rapidly changing political situation in India and the disastrous consequences of the inability or lack of courage to act decisively and strike the blows, which matter. Do the Stars foretell an Aar Paar Ki Ladai or Do or Die Battle in India between the supporters and opponents of Hinduism? Things are certainly moving rapidly in that direction and a major strife appears inevitable unless the allegedly Pro-Hindu Modi Government blinks first and capitulates before the relentless and multi front attacks mounted upon it by the opponents of Hinduism. For the benefit of those readers having in their possession a genuine Dakshinavarti or Laxmi Shankh, I have described in this post a very simple Sarva Karya Siddhi or All Task Fulfilling Dakshinavarti Shankh Mantra Experiment, which is very easy to practise to get success in any kind of purpose, including business, money, job, education, love, marriage, health, exorcism and black magic. This ancient Hindu Sanskrit verse originates from the Vedic Hymn from the sacred Yajurveda, Sri Rudram Chamakam, which is dedicated to Shiva as the Sri Rudra. 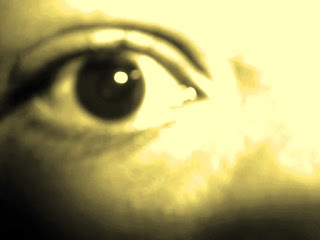 The Verse is a selection or a part taken from a larger verse. This Vedic Mantra is said to be especially beneficial and auspicious for sports persons, students or those engaged in any kind of research or scholarly pursuit for making their future bright be excelling in studies or sports. Maha Shivaratri, the Great Night of Shiva, which is one of the most auspicious of the Hindu Tithis and festivals and unarguably the most auspicious Sacred Day for the worship of Shiva, falls today on the 7th of March 2016. This day is said to be especially beneficial and important for those Sadhakas who wish to embark upon any kind of Mantra, Yantra or Tantra Prayoga, including Aghor Panth Sadhana and Experiments, especially those connected to Shiva. 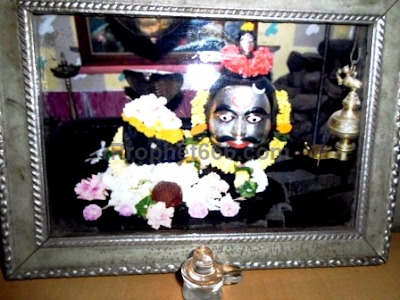 This is a most Tamsik and Aghori Mantra Experiment to Destroy the Clan of Enemy, including his family and progeny. At the outset, I would like to mention that this is among those Hindu Aghor Panth Mantras, which can only be successfully implemented by Sadhus and Tantriks of the Aghor Panth who have mastered the Maran Tantra. 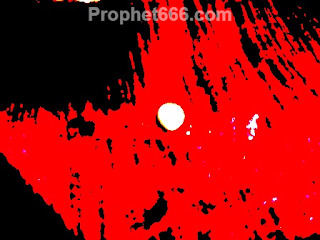 Hence, I see no harm in writing about this Mantra for the benefit of those interested in learning about ancient Hindu Voodoo and Occult practices. The Moti Shankh is another one of the Tantric Conch Shells, which are believed to possess certain specific paranormal and healing properties. The Moti Shankh, like its name, Moti or Pearl is roundish, whitish and shinning and is said to be dear to Laxmi Mata, the Hindu Goddess of Wealth and Plenty. In this post, I have explained how to purify and energize the Moti Shankh and use it for obtaining Sukh Samridhi [Prosperity and Abundance], resolution of legal and court related matters, success in business and promotion in employment.